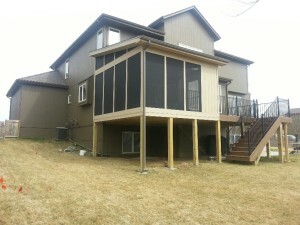 Alexander Homes has the experts you need for Kansas City room additions, basement remodels and whole home remodels. We provide our clients with no-charge, next-day bids on most projects and offer you a dedicated project manager who will walk you through the entire remodeling process. We are not a general contractor and we do not subcontract out all work to other agencies. When we undertake a project, we handle the permitting and technical details that are your required for your locality, keeping things simple for you and making sure all specifications are satisfactorily met. General contractors are people you hire when you want to build a completely new structure, Alexander Homes has the people you want to hire when you’re already living in your home and want to add a new room or remodel the old structure. We don’t invite strangers into your home, all work is directly supervised by management and we are able to complete projects much more quickly because we don’t have to rely on others’ schedules. If you have questions about any aspect of your home upgrade, your dedicated project manager will be available to answer them and will often be on-site with the Alexander team. Alexander Homes believes in keeping the bidding process simple for homeowners. We deal with the details and all you need to deal with the is the final bid from us. Contact Alexander Homes and meet to consult with your project manager. We typically deliver an initial bid within one business day. After you approve the initial bid, we draw up specific plans and rebid the project to you. At this point, you have a chance to see what your new addition will really look like. Once you approve, we begin to get the required permits and materials to remodel your home. We start building according to our agreed schedule! We will be finished by the agreed upon date. Once finished, we say thanks and ask you to review us online because we know you will be so pleased! It’s that simple, and we work with you through the entire process. We want to help you turn your home into your dream home. We’re proud of the work that we do and want the opportunity to show you how simple it is to get started. 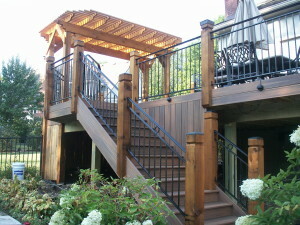 We want to show you our to building it just the way you imagined!